Internal clinical seminar on invasive fungal infection in patients treated with hematopoietic stem cell transplantation organized by the Clinic for Hematology MMA was held at the MMA. 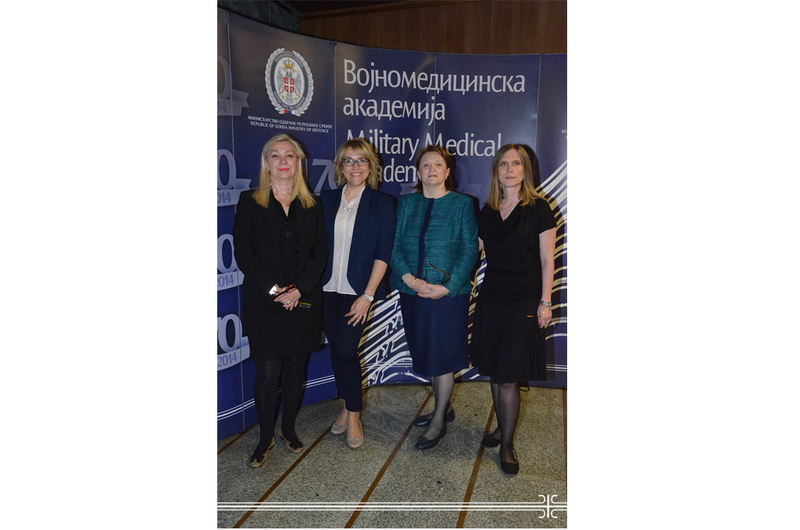 According to the head of the Clinic for Hematology MMA Prof. Dr. Dragana Stamatovic, who had the introductory lecture, fungal infections in hematologic patients are a significant issue in the daily clinical practice. Their occurrence in patients treated with hematopoietic stem cell transplantation (HSCT) is frequent and out of various reasons, primarily due to the nature of the primary disease. As she pointed out, invasive fungal infections cause a high mortality in transplant hematology in already fragile patients and their prevention is extremely toxic with extremely difficult diagnostics. About the possibilities of prevention and timely diagnosis of fungal infections - important factors of success of the entire process of HSCT, Assistant Dr. Marija Elez and Dr. Vesna Begovic spoke about. They lectured about the prophylaxis of invasive fungal infections in hematology, as well as the treatment of invasive fungal infections in neutropenic and non neutropenic patients.